This review provides a summary of non-pharmacological treatments for children and youth diagnosed with depression and related problems, and the scientific evidence regarding their effectiveness. Psychosocial interventions are based on the theory that depression is not simply a physical illness with symptoms that manifest as low mood, loneliness, and feelings of guilt and worthlessness, but that the context of a young person’s life can provide some explanation for these experiences. Thus, many of the interventions below focus on increasing youths’ ability to cope with stressful experiences or life transitions, and on improving relationships with both family and peers. Other interventions, such as eating a healthy diet and exercising, are based on a holistic understanding of the connection between physical health and emotional well-being. 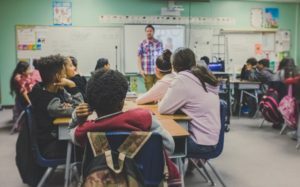 Primary prevention is typically delivered in schools by teachers who are trained to implement varieties of cognitive-behavioral therapy or interpersonal therapy. It is a group therapy approach intended to prevent depression in youths. It can be delivered either universally to all students, or in a targeted manner to students who are screened and considered at-risk for developing mental health concerns. Numerous studies have found some effect for these interventions, especially when targeted. However, the evidence is also inconsistent, with some outcome measures showing no effect. Even the positive studies generally note that any improvement dissipates by follow-up. This study is the quintessential example. It compared both cognitive-behavioral therapy and interpersonal therapy, delivered to all students in their “wellness” class, to a control group in a regular health class. The researchers found that students in the control group worsened on one of their depression measures, while students in the intervention group did not appear to have worsening depression symptoms. However, on their other depression scale, there was no difference between groups. By 6-month follow-up, there was no difference between groups on either scale. One study of “universal resilience” programs delivered to all students in schools found some minimal improvements in depressive and anxious symptoms, but only in certain data analyses. Other analyses found no effect. Additionally, any slight improvement was found to be short-term. Reviews such as this one have found that these interventions may feature a small, short-term prevention effect on depressive symptoms. However, with no positive long-term effects, and given the inconsistent results of the studies, the value of this intervention is unclear. Reviews also note the lack of comparison control groups in most of these studies, which makes any positive findings difficult to interpret. Most studies used a no-intervention control and found a small prevention effect, at least in the short term. However, when studies used an attention control (a group that features attention to the students, instead of a class), they consistently found no effect. This intervention involves the provision of information about the current understandings of mental health diagnosis and treatment in order to reduce stigma, increase adherence to interventions, and increase support. A recent review of psychoeducational approaches to depression in youths found a body of literature that has not yet coalesced. A large variety of intervention types fall under this broad label, such as individual, group, family, and online psychoeducation. Even “psychoeducation” is defined differently by different researchers. Many of the studies lack control groups and lack follow-up. Studies often focused simply on whether the parents or adolescents found the intervention helpful, without analyzing depressive symptoms or other outcomes. For studies that did examine outcomes, evidence was conflicted, with some finding improvements in depressive symptoms, parenting quality, or general well-being, while other studies found no improvement. The evidence for exercise improving the depressive symptoms and quality of life in youth is recent but highly promising. In adults, a recent review found that exercise (especially moderate aerobic exercise with a trainer) has a “large and significant antidepressant effect” and that its benefits may have been underestimated due to publication bias. In youth, a study that compared a three-times per week exercise regimen with a stretching regimen found that by the 12thweek, both groups had improved significantly. The exercise group appeared to have a faster effect. By the end of the study, a startlingly high 86% of the exercise group achieved remission from their depressive symptoms, while 50% of the stretching group achieved remission. This effect was maintained at the one-year follow-up. Further research needs to verify these findings with other control groups and compare findings with other psychological interventions. However, given the lack of adverse effects and the known benefits of exercise, it is an extremely promising intervention. In the research literature, a healthy diet appears to consist of mostly vegetables, fruit, fish, and nuts, with very few processed foods, and very few high-fat and high-sugar content foods. A review of the studies on diet and mental health in youths found a strong effect: unhealthy diets are consistently associated with poorer mental health. However, simply adding a healthy diet was not always associated with better mental health. This means that there may be underlying factors such as stressors around poverty that are not removed simply by adjusting diet. That is, although eating healthily is an easy recommendation with few downsides, it may not single-handedly resolve mental health concerns. However, other large studies have found that over time, healthy eating habits appear to lead to better mental health, while unhealthy eating habits lead to poorer mental health. CBT is one of the long-standing, evidence-based treatments for depression, whether in adults or in youths. It involves a focus on changing “irrational” thoughts and behaviors through active, problem-solving processes. That is, CBT attempts to change “false beliefs” about the world to enable better emotional health. For the treatment of depression, one example would be attempting to alter a belief that one is a failure and replacing it with the belief that one can make mistakes and fail at certain things without it making the entire person worthless. CBT is well-studied, with decades of research finding positive effects on the improvement of depressive symptoms, in adults and in youths. Early reviews found a powerful, large effect, with about two-thirds of adolescents experiencing clinically significant improvement. Some research also found CBT to be superior to behavioral family therapy and to supportive therapy (the CBT group had about 65% reach remission of symptoms, while the other therapies had about 40% of adolescents reaching remission). However, adolescents in all three groups had similar improvements in overall functioning. More recent reviews have found reduced effect sizes and diminishing long-term effects. One theory that explains this is that initially, most new interventions do not undergo rigorous study. Instead, they are initially found to be highly effective in studies that include very little in the way of control groups, use particular types of analysis, and usually only examine short-term effects. Over time, as interventions become commonplace, they are studied in myriad ways, including with more rigorous designs that show less of a positive effect. CBT is still considered to be effective at treating depressive symptoms, but the effect may be less impactful and less long-lasting than previously theorized. In control groups, about one-third of adolescents can be expected to improve; with CBT, about half appear to experience clinically significant improvement. IPT focuses on improving interpersonal functioning by developing strategies for dealing with relational conflicts common to adolescents, such as shifting roles and boundaries within the family and school setting, and how these are communicated. There is also a skills-building element to developing interpersonal communication. This is theorized to relieve depressive symptoms. IPT is considered a well-supported approach to treatment of depression, at least for adults. Reviews of the research find it to be about as effective as CBT (about 50% experience remission from depressive symptoms in both groups). A review of IPT for adolescents found that it was far superior to no treatment (or wait-list control group) for reducing depressive symptoms. However, the review did not compare the intervention to other forms of therapy, so it is unclear whether it surpasses other treatments. At least one study that compared IPT to the standard supportive psychotherapy available in a school counseling setting found IPT superior. On one measure, half the youths in the control group met criteria for remission of depression, compared with about three-quarters of those in the IPT group. They also experienced greater improvements in social functioning and in general emotional well-being. ACT is based on similar ideas to CBT, but with a functional, rather than mechanistic, approach. That is, ACT focuses on whether thought processes or behaviors are effective for a person navigating their environment, not whether they are “irrational” or “false.” ACT puts primacy on being able to work toward one’s life goals while being true to one’s values, whether there are “irrational” beliefs present or not. Thus, a focus of ACT includes mindfulness approaches of being present-centered and engaging in valued action, rather than ruminating about past events or worrying about the future. There is very limited rigorous research on this intervention with youths. A review of the scientific studies found that ACT is generally associated with improved mental health symptoms, quality of life, and psychological flexibility. However, the review also notes that these studies were limited by lack of a control group, open-label design, small sample size, using multiple outcome measures, and lack of long-term follow-up. Reviews of ACT for adults with depression generally find that it is at least as effective as other psychological interventions, such as CBT, and more effective than treatment-as-usual. However, there is very little long-term follow-up data to suggest whether effects are maintained over time. For more information about ACT and its effectiveness, see the article available here. DBT is a form of cognitive-behavioral therapy that is focused on reducing suicidal and non-suicidal self-injury. It is most frequently used for people with diagnoses of depression, bipolar disorder, and/or borderline personality disorder (BPD). It involves the development of emotional regulation skills to deal with intense suicidal impulses. Additionally, it features interpersonal effectiveness skills and aims to help build behaviors that are more effective for meeting one’s needs. DBT has been thoroughly studied with populations of adults, but its use in adolescents is nascent. However, it appears that its effectiveness with adults may translate to adolescents. This study serves as an example of the finding that both usual care in a therapeutic setting (such as outpatient clinics) and DBT are effective at reducing suicidal and non-suicidal self-injury, although DBT appears to have a much larger immediate effect. At the one-year follow-up of this study, DBT and usual care were about the same for levels of suicidal ideation, general functioning, and depressive or BPD symptoms. DBT was still more effective at reducing non-suicidal self-injury. For more information about DBT in general, here is a link to a very thorough article. These interventions use mindfulness meditation as a core element in therapy. The theory involves the use of attention regulation to reduce rumination and improve responses to stressors. Although there has been very little rigorous research on these interventions for youths with depressive symptoms, initial studies are promising. These studies are limited in their small samples, lack of control groups, and other methodological limitations. 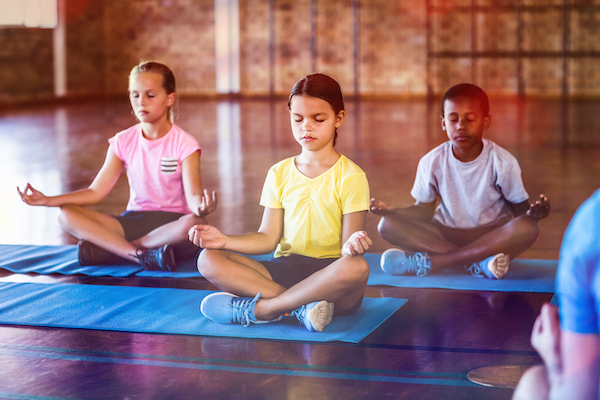 Recent small trials have found improvements in numerous symptom areas after adolescents took part in mindfulness programs, including reduced depression, improved coping skills, improved mood, and improved post-traumatic stress symptoms. For more information about mindfulness-based approaches for youths, here is a link to a very thorough article. Current psychodynamic therapy for youths focuses on interpersonal relationships and current life stresses. It borrows from psychodynamic theory in its focus on early-life attachment styles but has little else in common with psychoanalysis or the psychodynamic therapies depicted in the mass media. It is probably more similar to interpersonal therapy than to Freudian psychoanalysis. According to reviews of the evidence, the studies on this type of therapy for youths have overall been small and lacked control groups. However, the general finding is that psychodynamic therapy is better than no treatment, and may be as good as other treatments, at least for some mental health concerns. One study compared systemic family therapy with psychodynamic therapy for depression and found that both groups improved significantly. By the 6-month follow-up, 100% of the children in psychodynamic therapy and 81% in family therapy no longer met criteria for depression. Both groups saw the same dramatic increase in the child’s overall functioning. None of the participants in either group experienced returning depressive symptoms over the 6-month period. Although the research is limited by small sample sizes and lack of control (wait-list or no-treatment) groups, it is promising to see psychodynamic therapy with such powerful effects. As more rigorous research is conducted, we will likely see reductions in the estimation of just how effective the therapy seems. It will likely normalize to about the same effect as with other therapies for youths. For more information about this intervention, see the article available here. Family therapy is based on a systems-model that centers family relational conflict as one of the most significant factors in mental health concerns in youths. Although there are many slightly different branches of family therapy, it generally involves bringing multiple members of the family into a therapeutic environment in order to examine and resolve problematic ways of relating to each other. This can involve teaching members of the family interpersonal communication skills and boundary-setting skills, for example, as well as psychoeducation about healthy relationship expectations. Other family therapy approaches might focus specifically on the depression diagnosis and attempt to increase family support for CBT treatment of depression. A review of the evidence for family therapy found that it was better than no treatment for improving depressive symptoms and family functioning in general. However, the review noted that there were few rigorously conducted studies and it was unclear if family therapy was as good as other therapies such as CBT. One study compared family therapy with individual supportive therapy. That study found that both types of therapy were associated with improvements in depressive symptoms, social functioning, and general well-being. Family therapy appeared to be just slightly better than supportive therapy in this study. Another study compared systemic family therapy with psychodynamic therapy for depression and found that both groups improved significantly. By the 6-month follow-up, 100% of the children in psychodynamic therapy and 81% in family therapy no longer met criteria for depression. Both groups saw the same dramatic increase in the child’s overall functioning. None of the participants in either group experienced returning depressive symptoms over the 6-month period. These outcomes demonstrate that family therapy has potential as an effective treatment for depressive symptoms in youths; however, its evidence base has been hampered by lack of rigorously conducted studies with control groups. It is unclear where family therapy should rank compared to other types of psychosocial interventions. This type of individual therapy is based on the client-centered model and involves a non-directive way of helping youths to increase awareness of their emotions and problem-solve stressful life events. A study comparing behavioral family therapy, supportive therapy, and CBT found that all three groups improved overall functioning in youth. Family and supportive therapy were about equal in terms of remission of depressive symptoms, but CBT appeared superior on that metric (about 65% compared to about 40%). Supportive psychotherapy, in sum, appears to be effective at improving overall well-being, but perhaps has a less specific effect than symptom-focused models such as CBT. Interventions from positive psychology are intended to focus on a holistic understanding of emotional distress, rather than focusing on symptom reduction. A review of the evidence for two of these programs, “Well-Being Therapy” and “Positive Psychotherapy Intervention,” found that both types of therapy were able to increase overall mental well-being for adolescents. However, other therapies such as CBT were also able to find this effect, and other therapies also appear superior in terms of symptom reduction. An “Optimal Functioning Therapy for Adolescents” intervention is mentioned in the review as integrating CBT with positive psychology. It appears to be currently undergoing scientific study, but no results were reported. At least one review found that cCBT had some effect on reducing depressive and anxious symptoms in teenagers and young adults who exhibited signs of being “at risk” for these concerns. The review found no evidence that it was helpful for children younger than 12. The studies that were conducted had small sample sizes and other methodological problems. Face-to-face CBT appeared to have a larger, more powerful effect than the computerized interventions. The same review examined the evidence for other computerized psychotherapy interventions and found limited research with inconclusive results. Smartphone-based programs that target improving mental health for adolescents are widely available. They generally feature methods for self-monitoring emotional states, coping strategies for stressful situations, mindfulness meditation practice, or cognitive-behavioral therapy techniques. There is little evidence that they are effective at improving mental health symptoms or general functioning. Most of the apps that are widely available have not undergone scientific tests of their merits. A review of the evidence for these programs found that in the studies that do exist, the apps were not found to be effective. The review also noted that the content of some apps appeared to violate the current “best practice guidelines” in psychology. The researchers also criticize the lack of privacy policies and that the apps did not provide methods for immediate help, such as in suicidal situations. However, other reviews have been more favorable, finding that mental health apps may have some effect on improving depressive symptoms when compared with doing nothing. However, in comparison to active controls (doing something else) this effect was reduced to being minimally effective. Still, surveys of youths have found that they are unlikely to use mental health apps, possibly due to both privacy concerns and the belief that these apps will not be helpful or will contain inaccurate information—but another explanation is that youths simply do not believe the internet is the safest or best place for interactions to promote mental well-being. Problematically, there are thousands of mental health apps, that appear, become popular, and fade into obscurity at the pace of the internet, making systematic research on their effectiveness just about impossible. Thus, youths who use these apps have no idea whether they are receiving evidence-based therapy, decent coping skills, or misinformation marketed to them by rich tech-gurus. 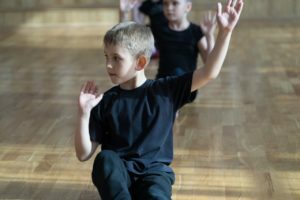 There has been little research on dance for the treatment of depression in youths, so the evidence for its effectiveness is unclear. One small study of adolescent girls in Korea found significant improvements in depression symptoms, other negative psychological symptoms (such as anxiety and obsessive/compulsive symptoms) and in global functioning when compared with no treatment (waitlist control group). However, the researchers acknowledge that this could be an exercise effect, rather than unique to the dance modality. A more recent study found that for children on an inpatient unit in a hospital, dance had an immediate effect of reducing anger, confusion, and sadness for those who reported experiencing high levels of these feelings. However, the study did not examine any outcomes save the immediate, so it is unclear if these effects persist at all. The study also did not assess diagnostic or functional outcomes such as overall well-being or depressive symptoms. There is no coherent theory as to the reason this intervention would be helpful. One current theory is that it has an anticonvulsant effect in the frontal lobe, although it is unclear why this would affect depression. The original use of ECT was due to the belief (carried over from the 1600s) that inducing seizures would cure psychological disorders. A review of the evidence in 2013 claimed that ECT is somewhere between 50% and 100% effective in children and adolescents and that there are few risks. Other reviews suggest that it is no more effective than placebo, at least for adults. There is a long record of studies in adults that have found that ECT frequently causes memory loss and cognitive impairment, which are understood to be the result of brain damage. One recent review concluded that the the cognitive impairment “may cause significant functional difficulties” and prevent patients from returning to work. Other adverse effects of ECT include, headache, nausea and vomiting, agitation, mental confusion, and adverse effects on the heart. Additionally, it may generate spontaneous seizures (tardive seizures) after treatment. Reviews have emphasized that ECT has never been studied in a scientific, evidence-based manner—especially in children and adolescents. Almost all studies have been case studies without control groups and lack of long-term follow-up. Numerous problems have plagued these studies, including failure to set outcomes, failure to disclose methods, and failure to address participant selection. According to guidelines such as the AACAP, ECT should only be considered if depression is severe enough to be life-threatening, such as extreme suicidality or failure to eat and drink. Additionally, it should only be considered if children and adolescents have attempted several other therapeutic interventions with no result, including both medication and psychotherapy. In some states, it is illegal to perform ECT on minors. ECT is also the subject of ongoing class action lawsuits. TMS involves a magnetic coil receiving electrical current, placed on the head, to create an electrical current in an area of the brain. The procedure is usually five times a week for four to six weeks. Some researchers believe that stimulating the left dorsolateral prefrontal cortex (DLPFC) may improve depressive symptoms. Some reviews of the research have found that TMS may improve depressive symptoms in adults. However, the studies, especially those conducted on adolescents, have all suffered methodological problems. A review found 10 studies that showed positive effects in treatment of adolescent depression, but all were small studies without a control group. In adults, at least one study found no effect for TMS on depression when studied with a sham treatment control group (using the machine but not turning it on). Adverse effects appear rare but may include fainting, seizures, memory loss, hearing loss, and hypomania. tDCS involves running a constant, low current through electrodes attached to the head. There are other varieties of this technique, which are slightly different (e.g. using alternating vs. direct current). Although most of the electric current likely dissipates along the surface of the skin, researchers theorize that some may penetrate as far as the brain. The theorized mechanism is that it may alter neuronal firing (either reduce or increase, based on the technique). It is unclear how this overall effect would improve depressive symptoms. While there is no study examining tDCS for adolescent depression, some researchers have pushed for further study of its use based on adult depression trials. Although some reviews of tDCS in adults found that it may slightly reduce depressive symptoms, other studies have found that it is no better than sham treatment (using the machine but not turning it on). When independent researchers attempted to replicate the positive findings, they could not, and a survey of researchers in the field found that a quarter of them admitted to using questionable or unethical research practices to obtain positive results. For a summary of scientific research on antidepressant drugs for depression and anxiety, visit this page. The following video interviews offer general advice and are not specifically related to any of the interventions listed above. If you have comments or feedback on this page, please let us know.